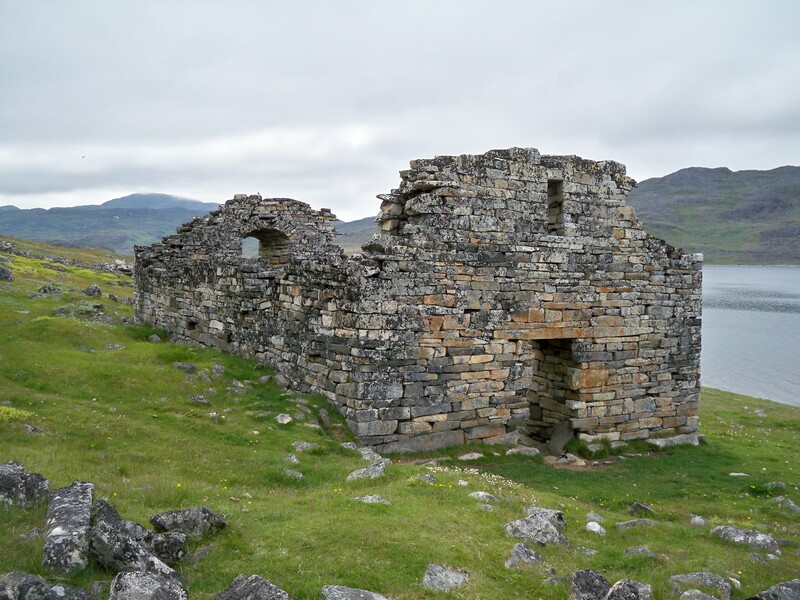 The ruins of the Hvalsey church from southern Greenland represent the best preserved historical evidence of a past Norse settlement in the region during the Middle Ages. Geographically, the site on which the church was built is located on a narrow strip of land facing a fjord, in the proximity of the small town of Qaqortoq (formely known as Julianehåb), pertaining to the Kujalleq municipality, southern Greenland. The church is also known in Danish as Hvalsø, and was last used at a wedding in 1408, after which no signs of the Greenlandic Norse are mentioned in the sagas or other late medieval documents. It is believed that the Greenlandic Norse perished because of the harsh climate of Greenland or that they fled from the Eastern Settlement (or ‘Eystribyggð’ as it was referred to in Old Norse) because of this as well as because of a war in which they had clashed with the native Inuit population. Nonetheless, the causes behind their disappearance still remain a mystery to these days and are as such still much debated between scholars. Regarding the church, it is thought that a former construction of this kind was erected sometime during the 12th century and that the ruins preserved to date date back to another one which was built in the early part of the 14th century, by the time of which Christianity was already introduced in Greenland for nearly 300 years. Hvalsey church was built of durable stones, some of which weighted more than five tons. The structure has a length of 16 metres and a width of 8 metres. Similar buildings dating to roughly the same period of time or earlier are to be found in Norway as well as in the Orkneys.